← Writing – How do you choose a setting? Writing – Point of View Problems – What a Palaver! 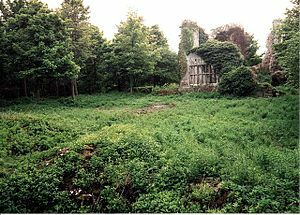 At the moment, I am working on a supernatural Victorian novel called Mulgrave Castle. My main character, Harriet Twine is a young woman who gets dragged mentally and physically into a suspicious murder because she has physic powers which she will not acknowledge. She is also desperate to find love with the suspicious Dante DeGuise but we will leave bedroom matters for another day. I am on a major re-write as I initially tried to write it entirely from Harriet’s point of view and then decided that I wanted much more insight into the mysterious DeGuise family of Mulgrave Castle and also wanted more of Jane, Harriet’s paid companion, personal thoughts to come through. I spent goodness knows how long changing the point of view and then I posted the first few chapters on the loonyliterature website. The posts have been removed since re-writing started again. The extracts were extremely well received, the main criticism being that the point of view moved about too much. As I had already changed the point of view about once, I decided to completely put the work aside and leave it for a few months and then go back to it. I find this really helps when I am not sure whether I agree with criticism or not. It means that the manuscript I am working on has gone cold in my mind and I can look at it with the eyes of others, more than if it is deeply entrenched in my brain through constant working on it. A strange thing happened before I went back to rereading my last draft of Mulgrave Castle, I was reading Phil Rickman’s book “The Man in The Moss” and found the constant change of point of view really annoying. I found that I had to stop and think every few pages about whom we were dealing with. I was further irritated that my two favourite characters, who the back of the book suggested were the main characters, did not feature nearly enough as the point of view seemed so stretched out. I normally love Phil Rickman’s work, his Merrily Watkin’s books totally transport me but although, I still enjoyed “The Man in The Moss”, I know that if that was the first novel of his that I read, I might not have looked for his other books and been the big fan that I am today. I reread Mulgrave Castle and decided that the lovely ladies who had given me this critique, Maria Thermann and Ross Mountney were spot on. It means that I have a huge job of rewriting as over half the novel takes place when Harriet isn’t there. There are times, at the moment, when I could smack myself around the face with a cold fish for changing the point of view in the first place. However, maybe if I hadn’t tried it another way, I would never have been truly happy not knowing that I had found the best possible solution to Mulgrave Castle’s point of view. Has this ever happened to you? I would really like to know about your experiences of point of view so that when I am banging my head against the laptop at 6a.m. I know that I am not alone. Filed under Creative Writing, Inspiration and Us, Mulgrave Castle - Harriet Twine the Saucy, Victorian Detective. Thank you for my mention! I was fortunate in doing a course at my local uni where a professional comedy writer took a look at the first three chapters of a children’s novel I’m planning and he pointed out the POV issues with my work. He was incredibly helpful and once I had looked at the POV issues in established writers’ work, I fully understood what Richard Asplin, my tutor, had tried to explain. If you know your plot centres around fairly static settings, where your hero/heroine is always going to be at the centre of attention, then using just one POV is fine. However, as you’ll have seen with my current fan fiction project, you can inject a lot of different locations and therefore tension and excitement into a story by changing the POV chapter by chapter – thus avoiding getting muddled mid-stream. It makes the work far more manageable, as you are only concentrating on the plot, character development and POV in that one particular chapter – a bit like a short story really. In the next chapter you can then go back to Harriet or Jane or you dastardly villain and use their plot, their POV. Crime writers in particular use this technique a lot. Hope this helps. You always help me! Yes, I’ve definitely decided that Harriet is the main focus and she wants to haunt me. She is standing behind me saying see it through my eyes – or else! Thanks for the comments and thanks for being there. You’re most welcome. You might write it in first person then, but remember that will prevent you from swapping locations – unless you physically transport Harriet there. No really, Maria and yourself really helped me with my POV perspective – so give yourself a pat on the back for your fabby insight. Harriet sends her regards, by the way – there you are – we are both mad. This piece you are talking about – have you posted it? Harriet is now very happy indeed as she is leading a much more exciting life than she was before. She could not see the point of me giving her a pony and trap unless she was going to get out and about more in it. You have provided comfort, thank you very much, it does help – there’s nothing worse than feeling you’re slipping down the drain all on your own. I hate to be the contentious one here Michelle but I have to say that I don’t have a problem with reading many POV’s in a story. This is just me of course 🙂 However I’ve noticed that many esteemed authors do this. I’m reading Atonement at the moment and McEwan’s POVs also seem to be all over the place but it works, enhances the story because you’re getting the entire picture. Hello Nisha, please don’t apologise, I probably just didn’t make it clear enough. I spent so many years writing essays on Literature where everything has to be explained that when I write posts I try to have a relaxed voice and I think sometimes it loses a bit of clarity.